Home Tags Posts tagged with "Wanderlove Wednesdays"
For the MOST stylish ladies on your holiday list—eBags is thrilled to unveil the newest cuteness from kate spade new york. When it comes to wintertime wishes, there’s a reason kate spade new york is always at the top of her list: from watches to accessories to luxurious leather goods, nothing says “you’re ultra-chic, and I noticed” like a gift from this collection. Here are six ways to take one-and-done gifting to the next level. For the woman who’s willing to travel light, but who absolutely won’t sacrifice style: the Envelope Wristlet is JUST the ticket. A unique tri-fold design in cross-hatched Saffiano leather provides chic storage for her evening-out essentials—ID and credit card, smartphone and cash. A camera cutout on the back means she can snap pics without taking her phone out…and a little mirror ensures her lipstick will always be perfect. Listen up, stocking stuffer shoppers! For the special somebunny in your life, this cheeky transparent case for iPhone 7 enables her personality AND her shiny new brushed metal phone to shine through. A durable rubberized case with a hard plastic frame protects pricey tech from bumps, dents, scratches and shatter. It’s a handheld bag…it’s a hands-free crossbody…it’s the Cedar Street Maise Convertible Satchel, and you won’t find a better gift for the splurge-worthy ladies in your life. Luxe Saffiano leather in 10 punchy, of-the-moment colors, with a detachable strap and 14-karat gold plated hardware—plus perfectly sized interior sheath pockets and a zippered top closure. Want to virtually guarantee that she thinks of you every hour on the hour? Get her the Kenmare Bangle Watch. It’s basically the tuxedo of timepieces, with sophisticated a black-and-gold palette and a whimsical bow-tie shape—perfect for an elegant evening out, or elevating her everyday look. The products that keep her pretty deserve an on-point container—and the Cameron Street Abalene Cosmetic Case does the trick every time. It’s the perfect size for the day-to-day makeup items she brings with her every day, with a mess-resistant fabric lining, a slim interior pocket, and a life-proof Saffiano leather finish. An elegant, polished wallet will brighten her world approximately 10 times a day—this year, get her the popular Cameron Street Stacy: the ultimate marriage of form and function. 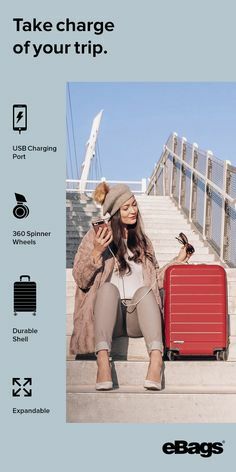 A slim silhouette means it can go with her anywhere; space for ID and 12 credit cards means she’ll be ready for anything. In 12 shades. Don’t see the perfect gift? Shop our entire kate spade new york collection here. Shoulder season is upon us! It’s time to embrace the bi-annual wonder of falling airfares, affordable accommodations, uncrowded piazzas and yes—unpredictable weather. There’s a reason it’s not high season, and it has a lot to do with the elements. 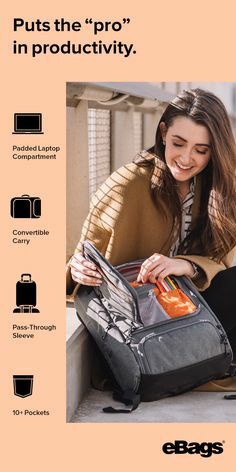 But with a bit of advance planning and smart packing, eBags can help you be ready for any kind of weather. Check out our 10 product picks below. Here in Colorado, layering is a requirement. In both spring and fall, it’s not uncommon for the mercury to swing 30 degrees in either direction; most of us keep an extra puffer or fleece in the car, just in case. 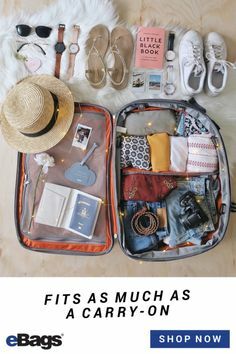 But when you’re traveling, especially if you plan to be out and about for hours at a time, you’ve got to be prepared for anything. Start with a cozy base layer that provides extra warmth without adding bulk—we like the Icebreaker Siren, which uses “corespun” technology to wrap stretchy nylon fibers with warm, breathable Merino wool. Next, add a pair of moisture-wicking tights; Lole Panettiere Leggings get the job done AND add an urban edge to your look. Next, in the one-and-done department: an easy knit dress in a complementary palette helps keep your look polished, regardless of the temperature. 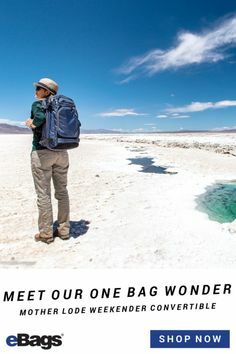 If it gets hot, simply remove your leggings; if it gets chilly, add the Patagonia Nano Puff Vest or Jacket—both of which are water repellent and highly compressible, so they can be rolled and stuffed in your bag. 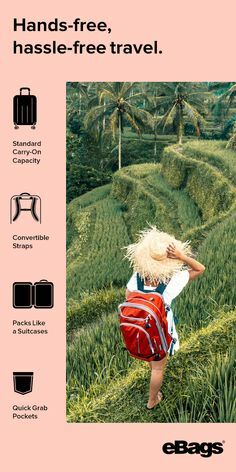 Even if you’re carrying a travel umbrella (which is a no-brainer on any trip), it also makes sense to carry a pack that can withstand a sudden downpour. If you’re planning to bag a fourteener in changeable weather, try the ultra-light Outdoor Research Drycomp Summit Sack; its taped seams and roll-top closure will keep your stuff high and dry. 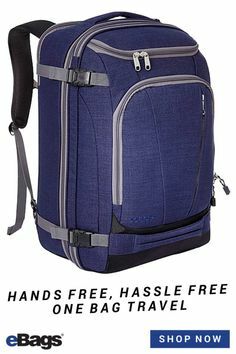 If you’re just tooling around in the rain, the sleek Timbuk2 Lux Waterproof Backpack will get you through the day in style. Picture this scenario for a second: it’s positively balmy at your home airport, but you arrive to find threatening skies and seriously chilly winds—and it’s a half-mile walk from the train station to your hotel! Luckily, you were smart enough to pack all of your foul-weather gear in a single large canary-yellow packing cube. Which means you can find it, slip it out of your bag, layer up and stow the empty cube back in your suitcase…all in the time it’s taken your seatmate to empty his bag all over the floor of the train. Feeling smug? You should be. If you think it will be REALLY wet where you’re headed, it makes sense to invest in some low-profile waterproof footwear like the Sakroots Mano Ankle Boot. It’s fine to use amphibious shoes in the summertime, but in spring and fall, the goal is to keep your tootsies warm and dry. Also, at the risk of oversharing from my own personal travel files (“water-resistant” travel shoes, from that trip to Italy in 2001, I’m looking at you), even the most technical wet-dry shoe fabrics will start to get ripe after a few days. Better to go with kicks that keep water out completely. 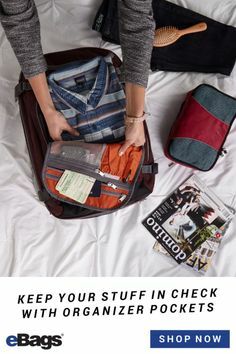 Speaking of stinky stuff, wet clothes can put a real damper on your trip—particularly if you can’t segregate them from your clean, dry stuff. 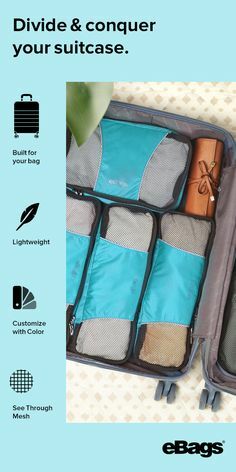 While eBags Packing Cubes are great for separating worn and unworn items, it’s always a good idea to have at least one dedicated wet bag (like this one from Planet Wise, which comes in a zillion colors and patterns) to keep soaking-wet stuff separate until you can hang it out to dry. Leaving home for longer than a week? Read these tips for keeping your home safe and secure while you’re gone.